Course ranked #1 in the country in 2013 by GolfNow! Forest Glen Naples Florida is a gated, bundled golf community built on 630 acres. The community consists of 799 residences. Comprised of estate and single-family homes, twin villas, coach homes, garden homes, and condos. Real estate in Forest Glen gives buyers a choice of floor plans. All homes enjoy unobstructed views of the golf course, nature, wildlife, and lakes. 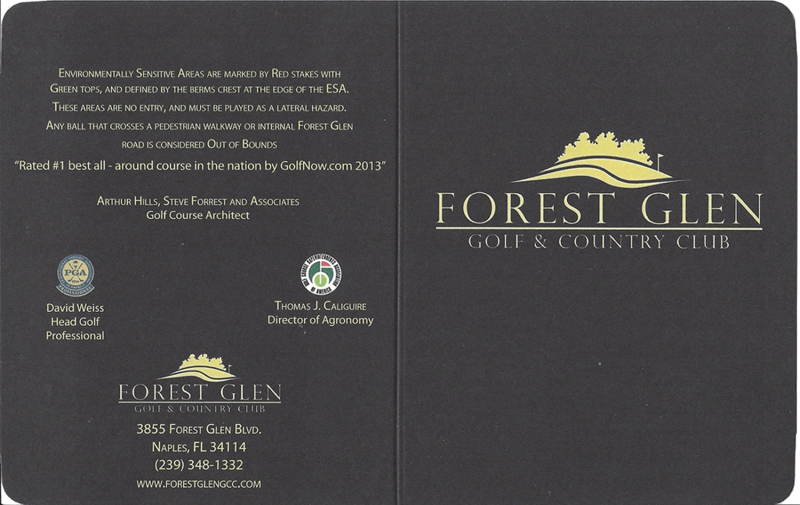 The par 72 championship golf course at Forest Glen was redesigned by Arthur Hills/Steve Forrest and Associates in 2008. Built on a carpet of Sea Isle Supreme Paspalum, the course plays to 6805 yards from the back tees. 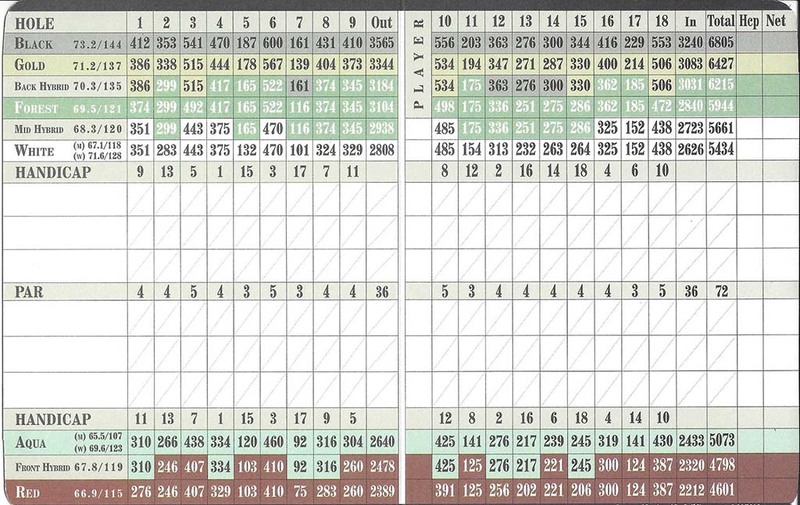 The course has a slope of 144 and is rated at 73.2. Multiple tee placements make the course friendly for high handicappers and challenging for scratch golfers. Forest Glen has a very active tennis program and residents enjoy playing on four Har-Tru tennis courts. And all four courts are lighted for evening play. Forest Glen restaurant offers both casual and fine dining. All-American food, Bavarian delicacies, Southern-influenced dishes, and seafood all moderately priced. Bistro-style dining is served in the grill room or on the lanai, overlooking the clubhouse pool. Residents also enjoy a swimming pool, fitness center, meeting/banquet facilities, and a paved path through the preserve for biking and jogging. For additional information about Forest Glen Naples FL, please complete the form below! I or one of my team members will respond to you within one business day.